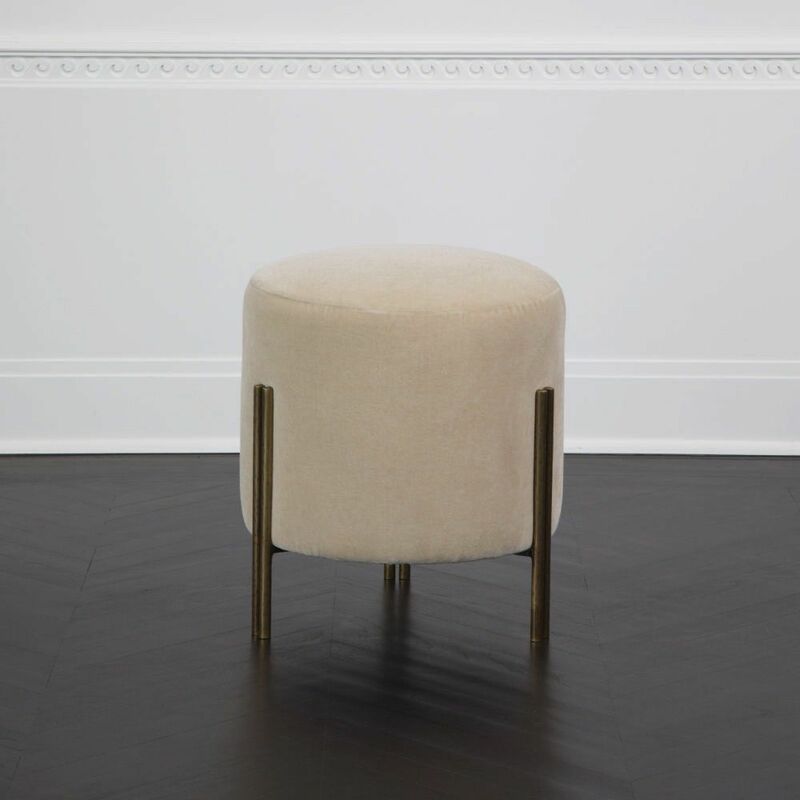 The Melange Foot Stool features a tightly upholstered cylindrical body and three sets of cast brass legs. The Melange Foot Stool features a tightly upholstered cylindrical body and three sets of cast brass legs. 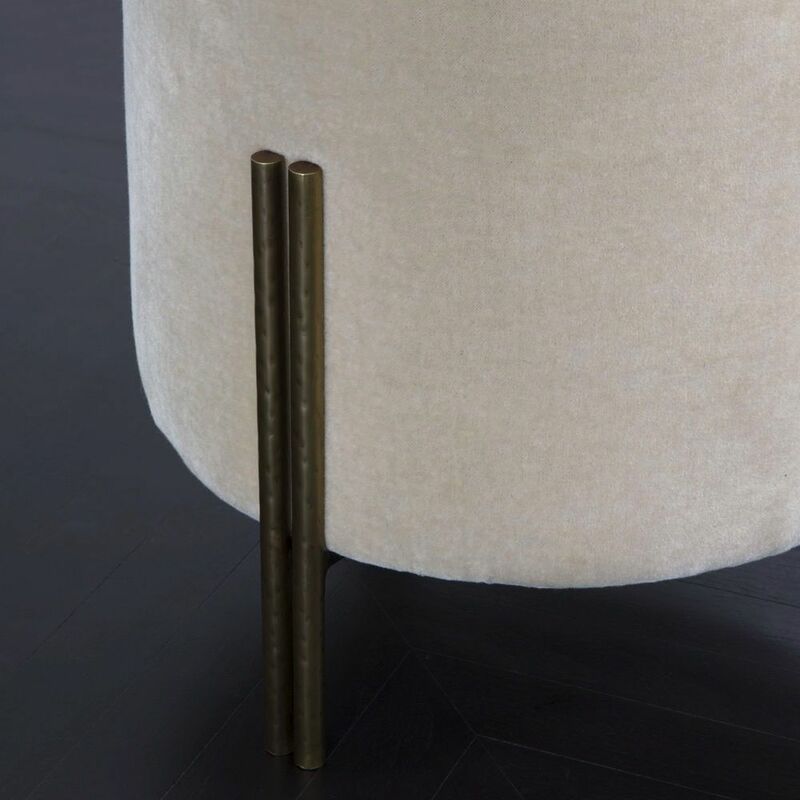 The delicate legs are composed of dual cast brass cylinders with a rich hand-wrought texture in our signature burnished brass finish. The hardwood frame features double-doweled joinery and is built for longevity. Available in a selection of curated fabrics and leathers. Burnished Brass Finish. Brass Legs. Price INCLUSIVE of all freight, duties and taxes into our store.